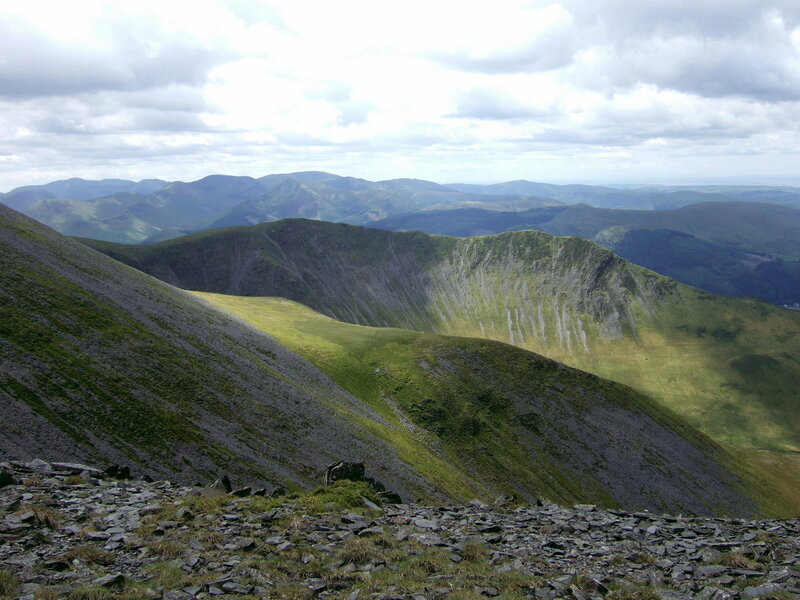 Skiddaw in the northern Lake District above Keswick was the first mountain I ever climbed – at the age of about seven I think it was – and when my son Josh first expressed an interest in fellwalking it was his first peak too. Since then he did a few more hills before “retiring” from fellwalking in favour of cycling and then taking up golf just after I myself discovered mountain biking. Surely those should be the other way round there? Anyway, thanks to the influence of the Army Cadets he recently announced a new found interest in climbing hills and a return to Skiddaw was the choice for a warm day in the Easter Holidays. The last time we’d gone by the normal tourist route from the Latrigg car park but this time we opted for crowd avoidance and decided on the route from the Dash Valley via Bakestall and the North Col. Yes it is called that but it bears little resemblence to its namesake on Everest and I picked it because even on a sunny day in the holidays few people would go that way. Anyone who knows anything about photography will be able to tell that some of these pictures were taken on different days and yes – I did cheat a little. The haze was so bad that you couldn’t see very much so I used some photos from another time I was here – same route just a different day. Our start point was the gated track a mile and a half up the Caldbeck road from the A591 just north of the Ravenstone Hotel where there were only 2 other cars parked – there would be a few more at Latrigg today! 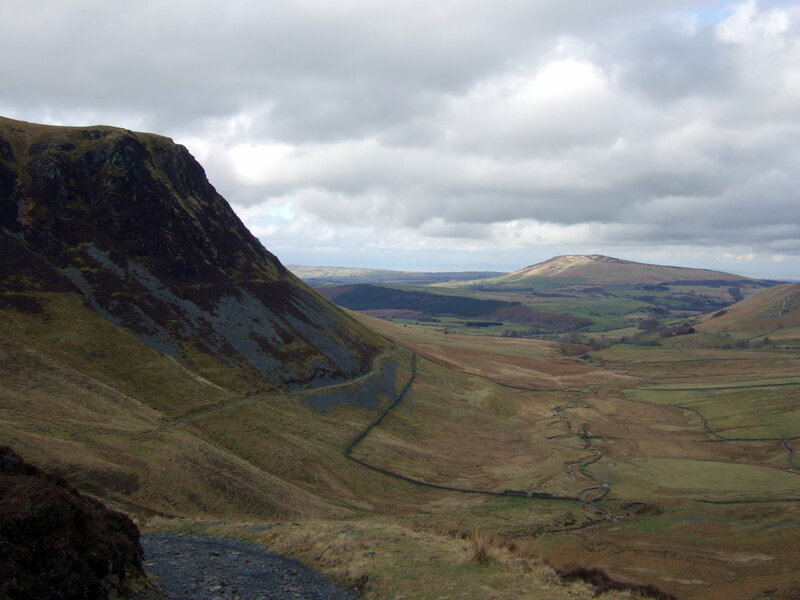 This track which is signposted to Skiddaw House can also be used as the start point for an excellent bike ride around Skiddaw – there’s a link at the bottom for those who like riding up very steep hills. We followed the metalled track up into the Dash Valley towards the lonely hills that surround it noting a possible descent route just beyond where the track crossed a beck. 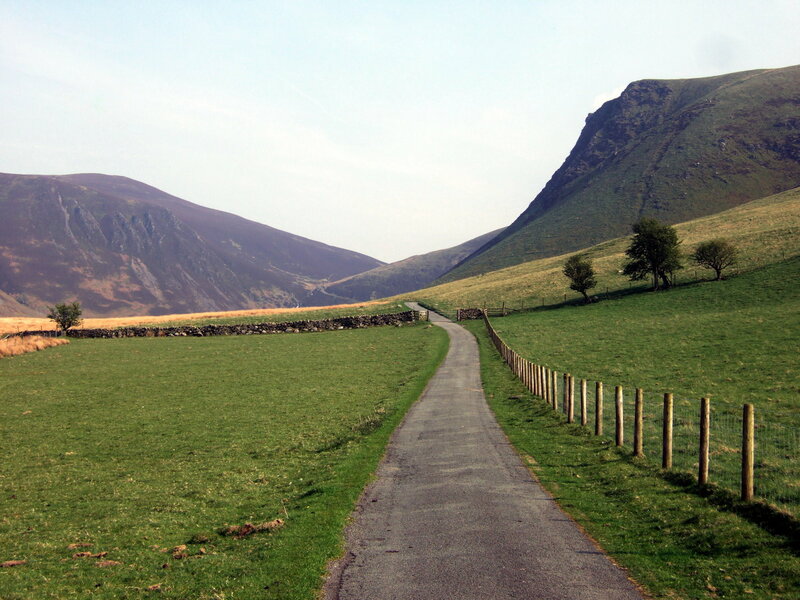 A very steep grassy slope with a faint path led up between the crags on the left and the ravine containing the beck on the right and it would shorten the return. 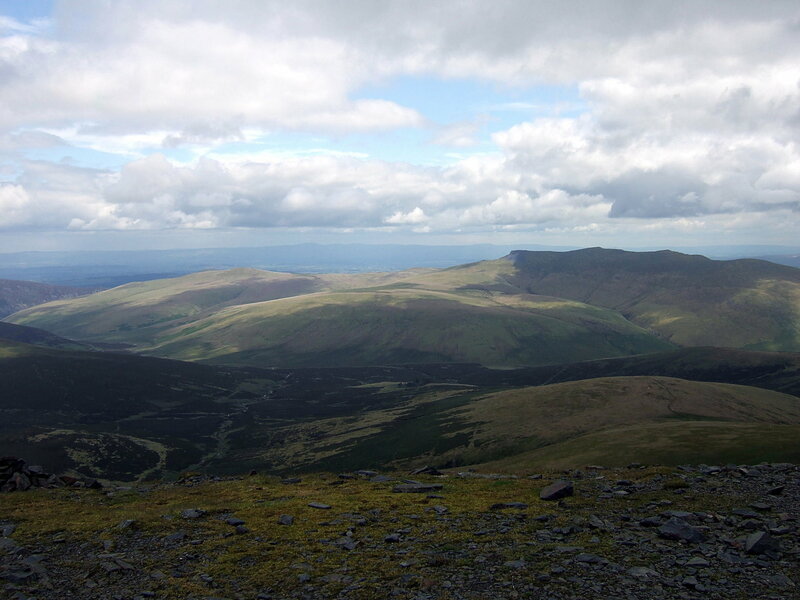 Our route – now on a rougher track – cut across the steep slopes below the crags on the right and curved steeply left up and around towards Dash Falls. The was more water coming down when I cycled up here but the weather had been dry recently. At the top just past the falls a path is seen to climb the grassy slopes on the right just before the fence. We stopped for something to eat just above the Skiddaw House track before heading on up the ridge towards Bakestall – itself a Wainwright and a Two Thousander if you are a peak bagger and these things are of significance! 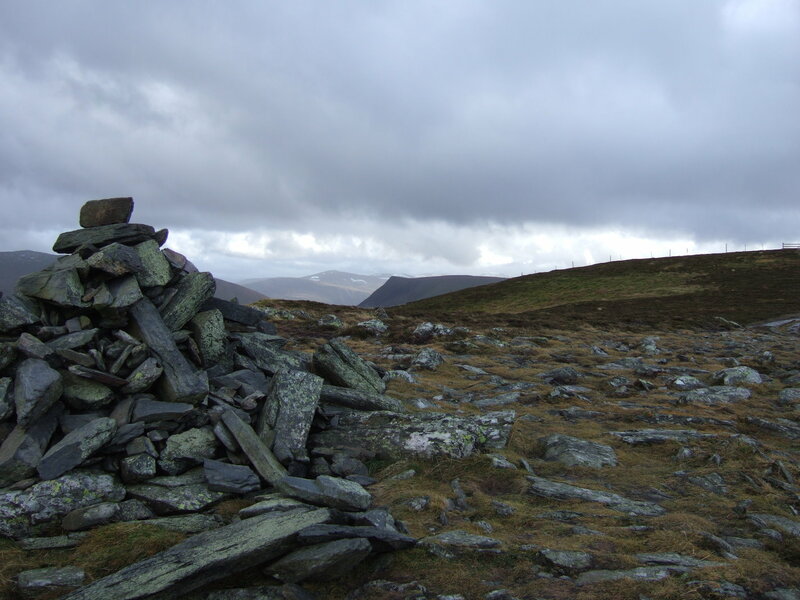 The top of Bakestall is a little frequented but fine viewpoint with the Skiddaw Forest area spread out to one side and the Dash Valley down on the other while the cairn faces the heathery expanse of the Caldbeck and Uldale Fells opposite. It’s only a few metres from the main path and we soon continued along the wide grassy ridge towards where the peak rose in the murky haze its distance hard to judge – it is in fact about 2km from here but looked further. We slogged up the slope alongside the fence with the non view to the left until the gound levelled and we crossed the wide expanse of the North Col to another non view to the West before tackling the last short steep rise to the North Peak of Skiddaw and the main peak with the trig point a few metres beyond. The North Top was a good place for main lunch away from all the people who had come up the tourist route on the other side of the mountain. Josh heads towards the peak a mile distant. This picture shows how bad the haze was. For our descent we retraced our steps to Bakestall but this time continued over the summit and down through the tussock country and heather on its far slopes. A faint path appeared on this slope but seemed to be heading too far left so we followed the wide sloping crest of the ridge down. This route is safe enough but bear in mind that steep crags lie to the right and that the river down the other way runs into a rocky steep sided ravine. We found traces of a path that led down the grassy slope we had seen earlier from the footbridge. It was very steep but without obstacles. Danger lurks if this way is not followed and if in doubt go down along the fence the way we went up. At the bottom of the slope we were back on the main Skiddaw House track where it crossed the beck and we followed it back in the late afternoon sunshine to retrieve the car. 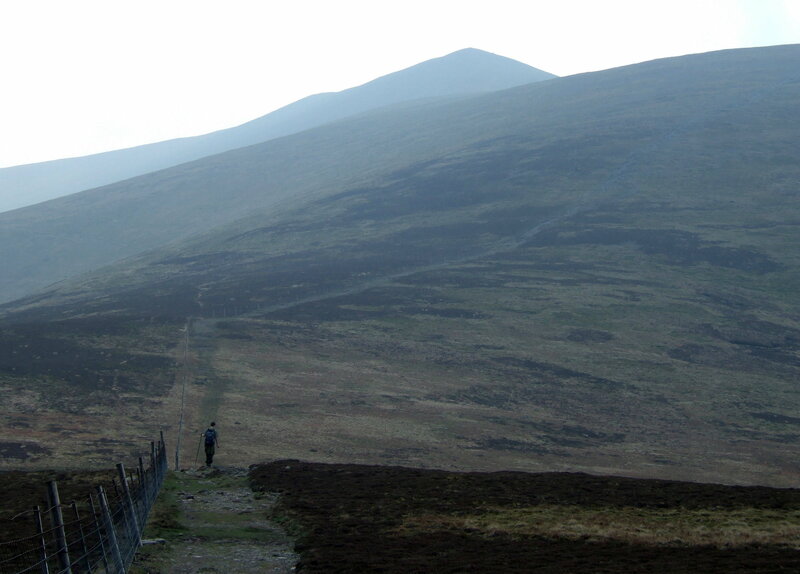 In all this is the quietest and one of the shortest ways up Skiddaw. The return walk is about 11km or 7 miles with a shade under 750m of ascent. 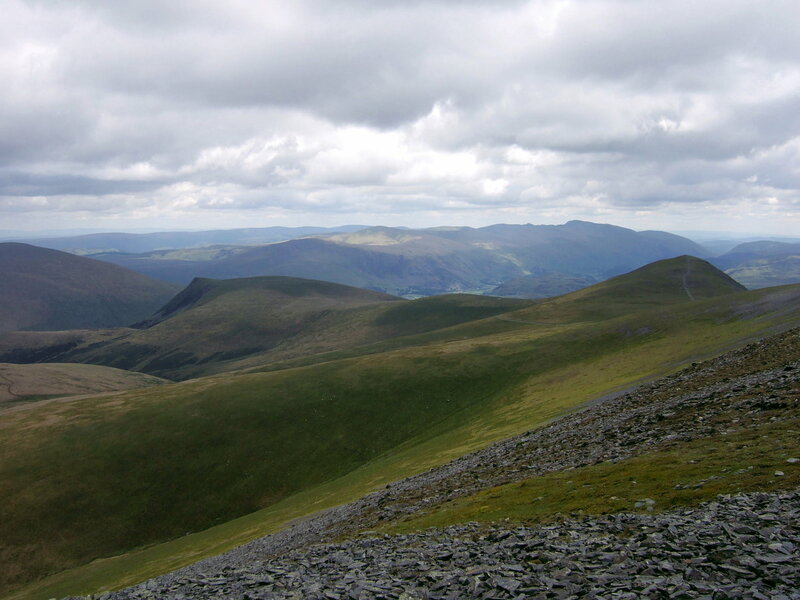 The highpoint is Skiddaw at 931m or 3054ft. There are more walks like this on my Lakeland Fells blog or check out the mountain bike route around Skiddaw. This entry was posted in Hiking, Lake District, outdoors, travel, Uncategorized and tagged Britain, Cumbria, days out, England, Europe, fellwalking, hiking, holidays, Keswick, lake district, lakeland, lakeland fells, mountaineering, mountains, nature, outdoors, photography, Skiddaw, The Wainwrights, travel, United Kingdom, vacation, walking, wilderness, writing. Bookmark the permalink. It’s not so far from where I live – the area’s called the Lake District.